HA NOI (VNS) — The National Assembly Standing Committee has called for a careful study of impending tax increases under the amended Law on the Special Consumption Tax to ensure that these were realistic. 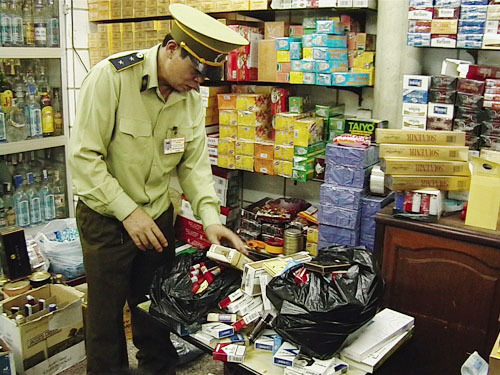 The amended law aims to increase tax revenues on, and limit the consumption of, products that are harmful to health and were being consumed in large quantities by a significant number of Vietnamese citizens, like tobacco, beer and liquor. The draft of the amended law drew mixed opinions from members of the National Assembly Standing Committee at its meeting yesterday, as concerns were raised regarding the impact of the proposed increases on employment, income, consumption and production. According to the draft law, the special consumption tax on tobacco will be raised from 65 per cent to 70 per cent on January 1, 2016, and to 75 per cent on January 1, 2019. The tax on beer will be increased from 50 per cent to 55 per cent on July 1, 2015, and to 60 per cent on January 1, 2017, and 65 per cent at the beginning of 2018. The amended law is to be approved at the eighth meeting of the 13th National Assembly in October and enforced on July 1, 2015. Most of the parties at yesterday's meeting agreed to remove naphtha and reformade components from the list of items to be subjected to tax. Industry and Trade Deputy Minister Do Thang Hai said the tax increase route map on liquor, beer and tobacco must be reviewed carefully to prevent smuggling and other harmful effects on domestic producers. He added that smuggling would increase if the tax increases were unreasonably high, and pointed out that tobacco smuggling alone caused an estimated VND6 trillion (US$283 million) in losses per year. Tong Thi Phong, vice chairwoman of the National Assembly, stressed that the imposition of a special consumption tax on products harmful to health was essential, and the prevention of smuggling required synchronised co-ordination among concerned authorities, including the tax, customs and market watch departments. Phung Quoc Hien, chairman of the National Assembly's Financial and Budgetary Commission, proposed that online games, especially the violent and addictive ones, should also be subjected to special consumption tax. Hien said the rising popularity of violent online games among the youth had a negative social impact, even as the online games business was raking in huge profits. But a tax on online gaming might harm domestic game producers who were in fierce competition with their foreign counterparts, said experts who were objecting to the proposal. Uong Chu Luu, National Assembly vice chairman, said the proposal to tax online gaming needed further study and should not be added to the draft which would be proposed to the National Assembly at the coming meeting. Finance Minister Dinh Tien Dung, representative of the law drafting committee, said the proposal to tax online gaming would be reviewed.